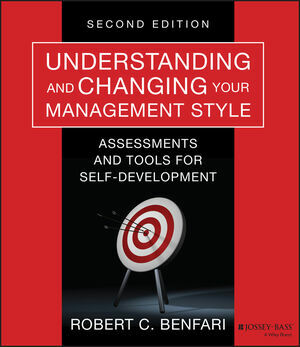 An update of the classic book that reveals the 6 keys to successful management In this new edition of his best-selling book, Robert Benfari explains that the best mangers are not born that way but share a mix of characteristics that can be analyzed, understood, and most importantly changed. He identifies the six characteristics of successful managers (Psychological Type; Needs/Motivation; Use of Power; Conflict Style; Our Basic Values; and Our Reaction to Stress) and uses these building blocks to show how anyone can use personality-specific strategies for resolving conflicts, solving problems, managing stress, handling difficult situations at work, and positively influencing others. This research-based book offers the tools leaders need to improve their management style and succeed in the workplace. Robert C. Benfari, AB, MBA, PhD, MSPH, is a multidiscipline behavioral scientist who has spent most of his career in teaching, research, and practice as a professor at the Harvard School of Public Health and the Division of Continuing Education. Benfari also consults to industry and government and conducts workshops on developing one's management style.